With so many difficulties in the world today, I try to focus on the things I can manage. For me it helps to live with beautiful things. 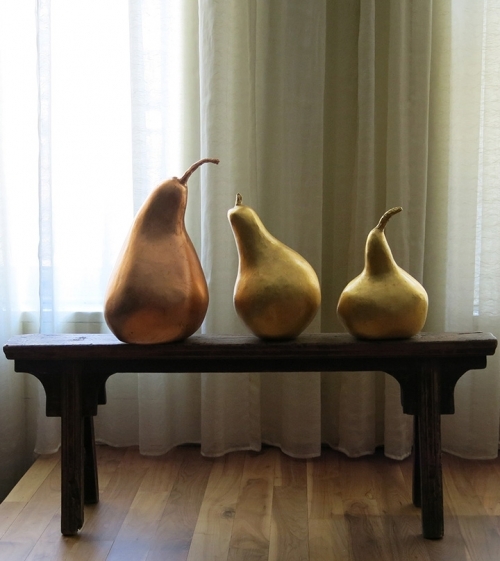 In that vein, the forest of gilded pears was created. It begins with a wooden armature, the shape is formed with chicken wire, then paper mache, then burlap, and finally joint compound mixed with plaster of paris, and after weeks of drying the pears are sanded and gilded. It's a lengthy process. This became my forest of gilded pears.